A Handyguys listener recommends a show on preparing your home for the winter. The Handyguys respond! First of all, thanks to Mike for sending in a request for this show. He provided a lot of great ideas and insights. We will discuss many of his suggestions in this show. I recently went down into my basement and there was water all over the floor from my hot water heater. There is no visible leaking still going on and it is still producing hot water. Do I need a new hot water heater? The things I do know is that my tank does not have an expansion tank. My ‘overflow tube’ or ‘TandP valve’, is directed down to the floor, but should be directed outside?…I remember the inspector saying something about this notÂ being configured right, but didn’t think it was that big of a concern. A couple days before the leak occurred I have turned the temperature down to ‘Vacation’ because we were not going to be home for the weekend. When we got home I changeÂ the temp back to hot. Could this of caused some kind of pressure change, which in turn caused the leak through the overflow tube? 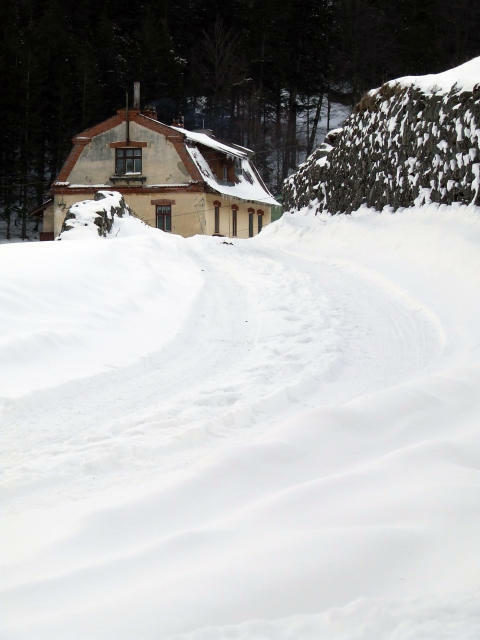 How do you prepare your house for the winter? Well, if you are in the south, you may not need to do anything. But if you live in a northerly climate, you should check out this podcast. Here is a list of items that Mike sent us. The Handyguys discuss this list and more in the podcast. Put patio furniture away and if made of wood it’s a good time to seal them so they are ready for spring. I stumbled across this page and even though it has nothing to deal with the project that I am working with – I know what your problem IS. This same problem happened to my neighbor. The expansion tank (blue tank in the picture) should not be on its side. It is designed to hang up by the pipe. It even says this in the installation instructions. Your problem is that because it’s on its side the diaphragm has rotted and leaked. The tank is full of water and can’t do its job. As a result the overtemp valve opened to relieve the pressure. 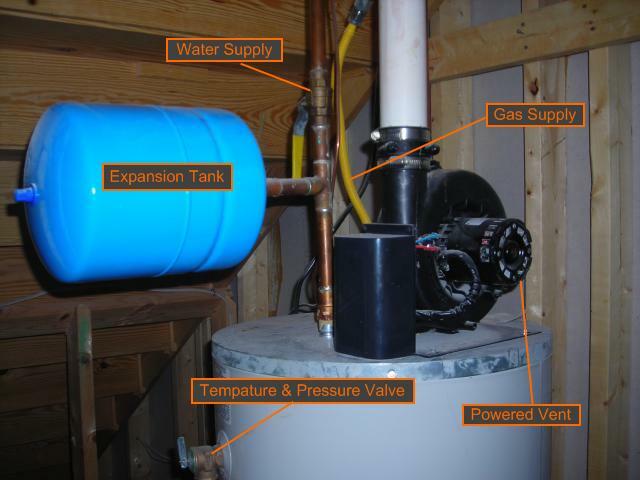 Replace the expansion tank, follow the directions, and you’ll have a dry basement. The issue with our listener was *no* expansion tank installed (the picture in the post is from another house)! Regarding expansion tanks installed on their side… I have noticed that almost all tanks around my neighborhood are installed this way. My tank failed (see a more recent episode) and I got water on the floor from the T&P valve. When I checked my tank, the diaphragm was not leaking because I did not get any water out of the valve. The problem was no air pressure at all in the tank. I added some pressure and after several months it is still holding well. Hey guys, love the show. One idea would be to talk about garage insulation vs. insulated garage doors. 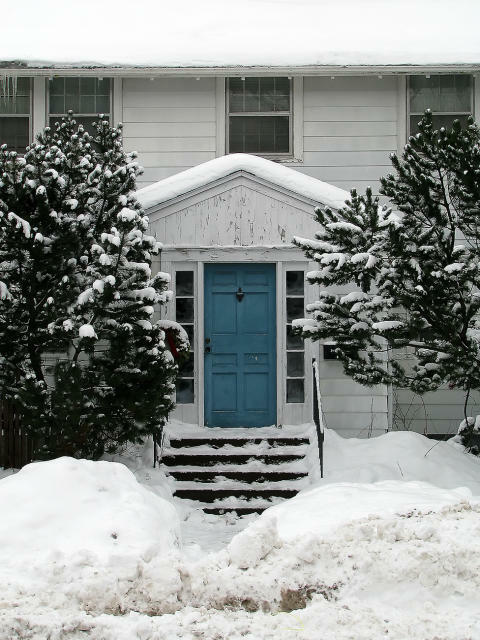 Post-door insulation may be enough in certain climates but where it is very cold is it worth it to have both? As part of a Phoenix garage door repair company we don’t get a lot of discussion about this stuff. ~ Hi my name is Conrad now I’ve recently purchased a bungalow style house here in Edmonton,Alberta Canada where the winters are freak’n cold. Now the house was originally constructed in 1936,so it’s made it through a few hard Alberta winters. My question is I found it too late once the snow feel that the windows were are producing a draft that would freeze a church mouse in a parka,I have a mid-sized bay window that looks like it was installed by Canada’s worst handyman. The window itself protrudes out of the house about 3 feet,it’s got two windows on the sides which open in the summer with a turn crank for air ventilation and the centre window is about 2 feet across by 6 feet in length but is a fixed window it’s just a big piece of glass. Now on my floor there is an incredible draft coming from the floor or wall into the house which is real cold. I’ve purchased the all weather expansion foam drilled a couple small holes a filled this so called bay window with this foam because after 3 1/2 cans it finally slowed the draft down but I still get a bad draft from the floor were the window is attached. Please what are some of your ideas too help rectify this situation. Yours Truly! Feet frozen! You can remove any trim around teh windows and use cheap fiberglass batts, save the spray foam for inaccessible areas. Also, if you have a basement or crawlspace check that the floor below is insulated.